I have been a car collector for 35 years. This is one of the classics from my personal collection, see others at www.gccc.us This car is totaly original with the possible exception of one repaint, in the factory origianl color. Stunning Silver exterior and Red Leather interior,(ORIGINAL). They are only original once. Everything works and this car needs nothing. Totally original drivetrain. You see black ones, white ones blue ones but chances are you have never seen one in this beautiful color combination. 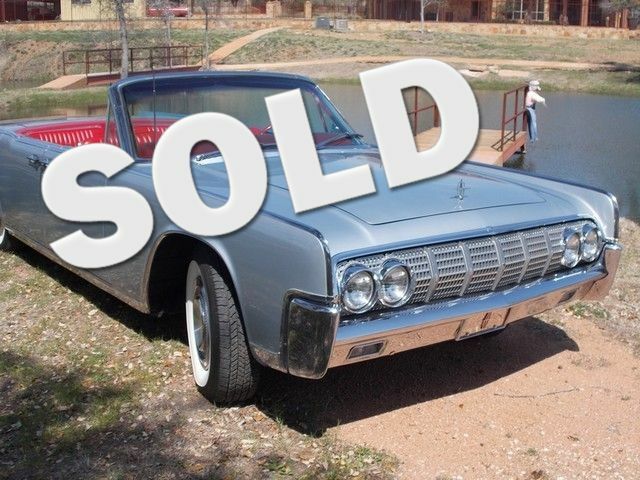 If you are looking for perhaps the nicest 1964 Lincoln, 4dr convertible this is it. If you can find a better car buy it. If you have the money, don't come see it or you will buy it.